I know it’s midweek but let me tell you about our Sunday. We decided, as Kate had been away for over 6 months, that we would do a typical English Sunday. So first of all it was a full fry up with waffles instead of fried bread (neither are very good for you). This was followed by a visit to the supermarket to get all the ingredients for a Sunday roast. Had a bit of a problem with the chicken as they don’t sell whole birds – packs of quarters or rotisseried birds. We decided on the latter. It was then time to get out. A walk in the park was what we had in mind. 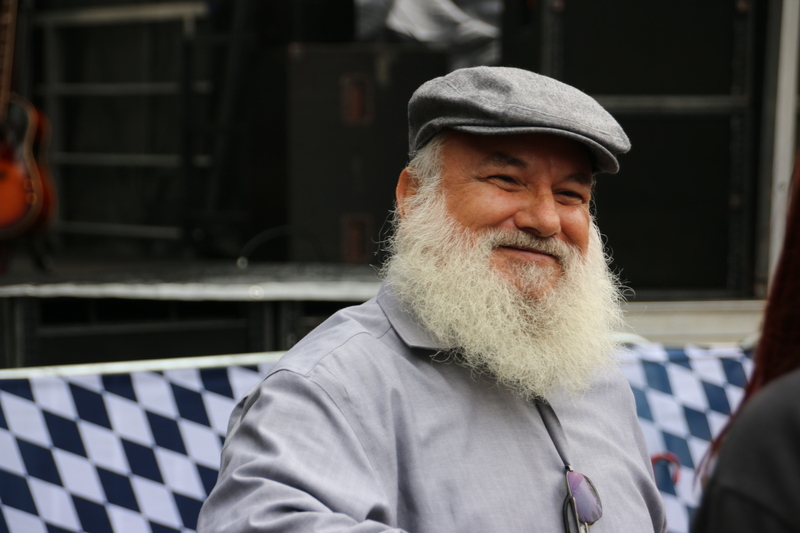 However an Oktoberfest street party intrigued us. 5 bucks (do you like the Americanisation I used there?) to get in. Two streets, a community centre car park and a small play area were cordoned off with a stage in a huge marquee and a smaller one out in the street. 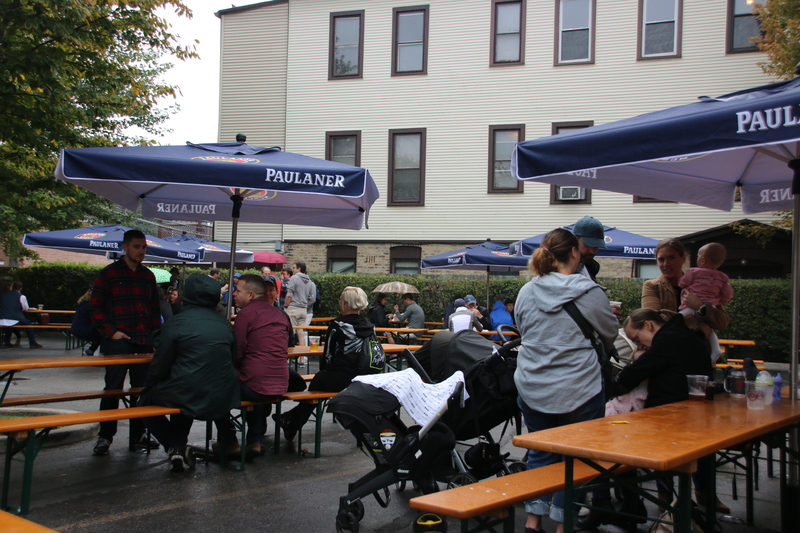 It was a bit like a village fete with beer – lots of food stalls, two beer stalls and fun activities like Hit the Bell and Design a T-shirt. 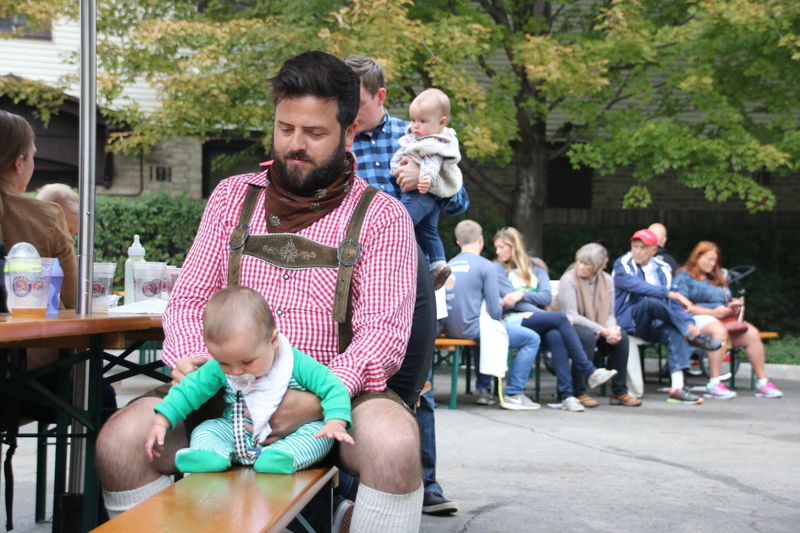 It was slightly confusing as there were many folk dressed in traditional German lederhosen. It was a district with many descendants of German immigrants. Beer was the order of the day, just like being down the pub at lunchtime without the bowels of peanuts. 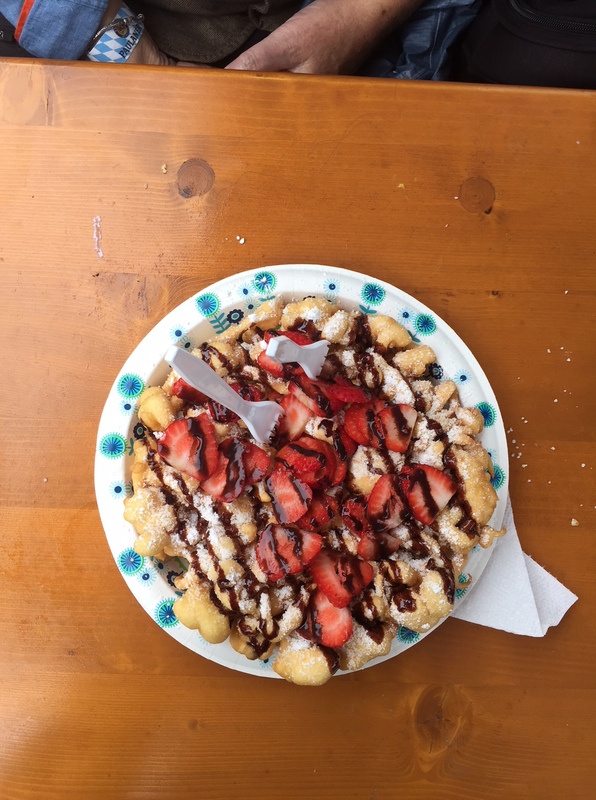 We didn’t want to spoil our appetites so we limited our food consumption to a large plate of Funnel Cake consisting of light, doughy, chocccos-type swirls covered in chocolate sauce and a few strawberries and a blizzard of icing sugar. We managed half. 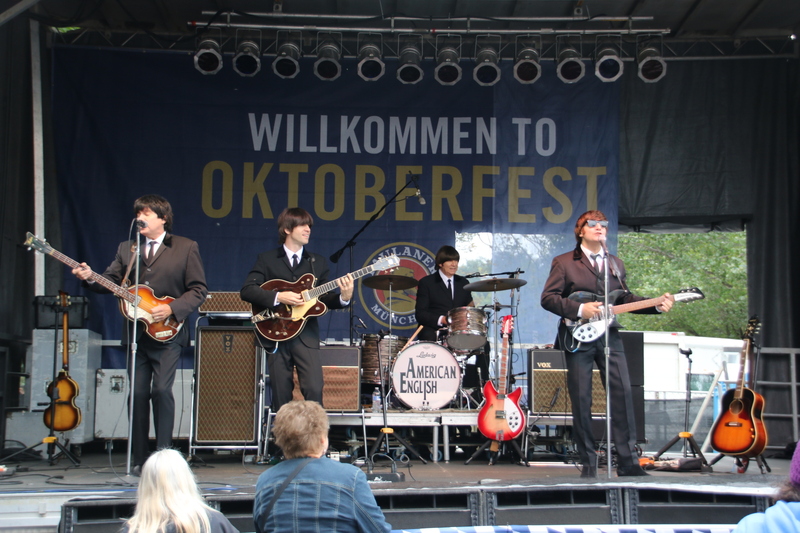 There followed two sets of Beatles’ classics and two sets of Singalong with John, Paul, George and Ringo. America’s best cover band, we were told, and all for 5 bucks. Value!!! They even spoke English with an Liverpool accent. I was very croaky the next day. So back home to put on the dinner. The chicken was already cooked, so it was just the roast pots and the veg. US pals were roast virgins, if you see what I mean, parsnips were unknown as was gravy. It all went down very well. The day ended slobbed in front of the TV with an episode of Peaky Blinders on i-player. A perfect English Sunday in Chicago.